Have you had troubles trying to photograph waterfalls? Look no further if you have had some troubles in the past photographing waterfalls. I have thought of some of the most challenging moments I have come across and thought of some tips I could share with you. My goal is to help you be more proficient in the field to minimize your troubles and spend more time having fun. Let’s get started! Figure out your destination you would like to photograph, this could be a location you have been to before or possibly a new location you are ready to capture. Let’s first talk about where you are going to photograph. Will you be on private property or will this be public land. I like to photograph on both types of property as they can have pro's and con's. On private property, you can contact the owner and ask for permission. Be nice in your correspondence, offer an image to the owner or even a gift for the opportunity. Even if you don't come home with that keeper image you still had a location all to yourself with nobody in your way. Just remember if you get caught on private property you risk possibly being charged with trespassing or being shot at, don't laugh as we all know there are areas in this world of "shoot first ask questions later". Another thought is you technically don't really own the rights to an image from private property without consent. If you choose to use a public area you always have to remember that you are on a first come first serve to the ideal location. So, it’s always best to be there early in the AM or later in the day. know the terrain you will be walking on, sometimes rocks and mud can be very slippery in these locations due to the spray from the falls. Algae and moss are two very slippery things to step on, one wrong move and you could be getting wet or damaging your camera gear. Sure, footing with proper footwear is always the best idea. When I go out and shoot in the water I ware 1 of 2 things. My go to is always chest waiters, these allow me to squat down in the water or even sit in some locations. 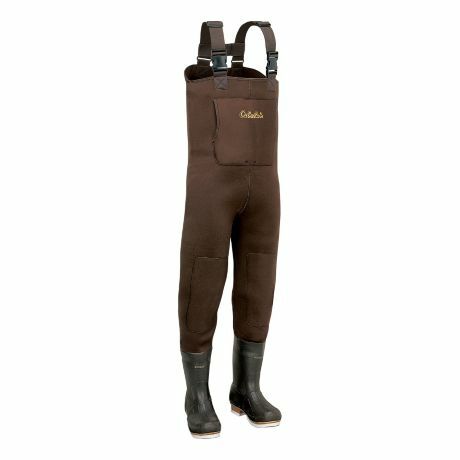 As well it always minimizes the possibility of stepping in some deep water and getting a soaker in your rubber boot. You can get different types of waiters, some that have stocking feet and you choose the type of boots or you could buy the type that have boots attached. The second option would be to buy some rubber boots, if you are in slow moving water that is ankle high they should be more then enough. Just remember there is always that one deep puddle that is looking to fill your boot. Look at the water flow chart with your local conservation, they have to monitor levels and flow for flood risk. 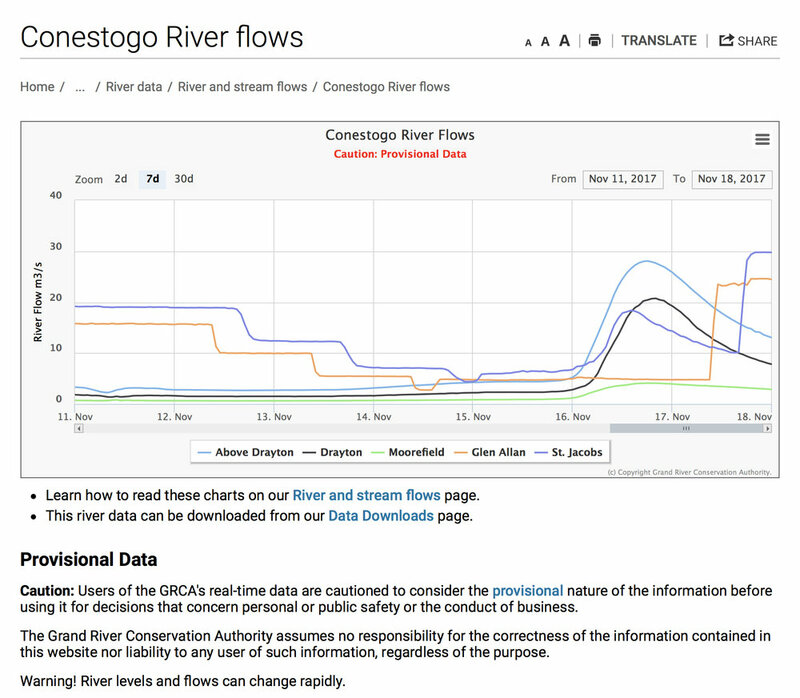 If you frequent a river or waterfalls check these stats and write them down. This will give you a base value to determine flow before you even get to the location the next time. Always remember that water in a river comes from somewhere, meaning there could be a storm far upstream that could cause a large serge of water to come rushing at you with no warning what so ever. So, check the weather in a few different locations and always think of an escape plan when you are on the water. Or if you are like me, sometimes you just stand in the river with no thoughts other than I'm going to get this shot 😉 Flow rate in a river can make all the difference in the outcome of your image. Sometimes I like a slow flow of water on the falls, this allows me to achieve a longer shutter speed and it’s easier to walk around in the water. The faster the flow or whiter you see in the water the faster your shutter speed will be. If you don't like the long exposure look I would assume fast rushing water would be what you want. Now let’s back up a bit and decide what type of waterfall or river photographs you want to achieve. This will depict what type of gear you will need to get the shot. Can you just walk up to a waterfall and shoot without a tripod? Yes, you can if you are shooting with a high shutter speed. But if you want that silky photo of water looking surreal to the eyes then you should start paying attention. Here is a list of gear you will need to help make better photographs. Tripods are a big part of a stable foundation for taking sharp images. When picking a tripod, you want to make sure it has strong legs, a way to test this is if you try and jiggle the head of your tripod, you should not feel any flex in the legs or the jiggle should not be felt in the legs. Another part is the head of the tripod, this should be a sturdy head that does not droop down from the weight of the camera or not lock into a solid position. You need to make sure that together the legs and the tripod head are strong. A few mistakes I commonly see people make with tripods are the following. The last legs of the tripod you extend are the bottom ones. They are the skinniest legs and therefore compromise stability in something we are trying to keep stable. Second most common problem I see people make is not having the plate that attaches the camera to the head tight enough. This will cause the camera to move in a long exposure and you will lose sharpness in the static parts of your image. A tip I would also like to offer is once your tripod legs are out and locked in tight at the appropriate angle you should check and see if you have a hook on the underside of the center of your tripod. This hook is to hang something on so it keeps your tripod as stable as possible. If you are right in the water this is always something you should use as it will help keep a stable foundation. We need some tools to help create a longer exposure, these tools I’m thinking about are filters. Filters are something that are preference meaning the type of filters you choose to use. A few types of filters I want to mention are the following. Square filters are my go to, they are big a bulky and require an extra pouch to hold the filters from scratching and something to hold the filter holder. I choose to use these types of filters as this is something I learned on and I can stack filters easily without accidently moving my focal length if Im not using a fixed lens. What you will need for this is a set of rings, these rings fit the different size lenses you have. Next you will need to buy a filter holder, this holder will house the filters in front of the lens in slots on the holder.To install this type of system you will need to do the following. Remove the lens hood from the lens, find the appropriate filter ring and screw it onto the lens. Once it is tight you can attach the proper filter housing to the ring however the orientation may be. I will get into some more details later on what to do after this. 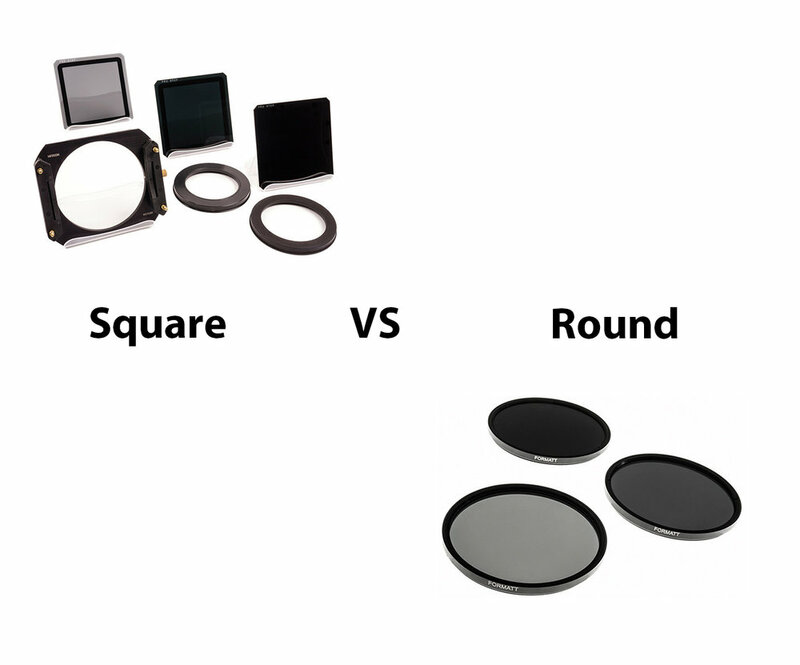 The other type of filters is a screw on filters, these filters are a set ND neutral density or stop value. Again, you have to pick the proper filter size to fit your lens. These will only work on one specific size of lens so if you have multiple sizes of lenses you like to shoot landscapes with you will need to buy a filter for each one. One thing I wanted to add is adjustable ND filters, these filters can be adjusted by turning the filter clockwise to increase the strength of the filter. There are not many of these filters that are effective in creating a proper exposure, they cause banding in your image that often is not the desired look you want. So please do your research on these types of filters before you buy them. 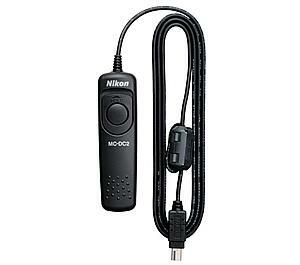 Wireless remotes, these remotes allow you to walk around and take images without having to be right beside your camera. They can come in handy if you are doing light painting and your subject is a distance away from your camera. These remotes are often very small and tend to get lost in the dark, I would almost compare them to a woman loosing one of her winter gloves. Where wired remotes remind me of when you were a kid and had a string attached to your mittens that went through your jacket. They are reliable and don't require a battery for most remotes as they run right off the camera body. The biggest problem with wireless remotes are the range and what effects that range. Being by places with electronic interference will limit how far or close you can be. Examples maybe a hydro dam, other photographers, hydro lines etc. Another thing that can affect the range will be the battery power you have left in the remote, as the battery dies the less distance you can travel. Also like any type of camera equipment that requires a battery they never last long in the cold. Whatever type of remote you choose make sure you pick one with a hold feature. So if you need to use bulb mode for a long exposure you can hold that time for a desired amount. Before we leave the house lets go through a gear check. -Charged batteries, clean camera equipment, filters, tripod, lenses, camera, remote, lens cleaning cloth, tape for the unknown, our choice of footwear, stop watch and a creative mind. Now let’s put you out in the field and get you started on some long exposure photography. Some things to keep in mind while walking on slippery rocks or trails is to try and keep your hands free. Using a tight strap for your camera to keep it close to your body is also a great idea. I have watched many people bang their gear off rocks when climbing down to a waterfall. Another idea is to have some sort of straps on your bag to hold your tripod so its attached to your bag tightly. Now that you are hiking like a Sherpa down to the spot let’s take our time to get to the location. We have lots of expensive gear on our backs so good footing while crossing water is imperative to no loss or damage of gear. If you are a clumsy person you may want to make sure you have an insurance policy on your equipment. So, we walk around the desired area and we find the spot we want to photograph. We want to set up our gear in a dry location, this means a location to install our lens to camera. As well a place to set your equipment on while you are in the water. So, we walk around the desired area and we find the spot we want to photograph. We set up our tripod making sure it is solid. Next, we make sure the plate to on the bottom of our camera is tight and then we attach the camera to the tripod. Next if we are using square filters we attach the ring and filter holder to the lens. Do not add the filter yet to the holder, or if you are using square filters do not attach them yet either.